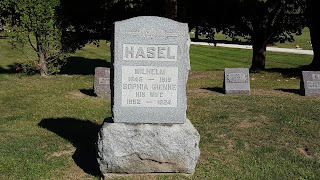 The Witch's Ball is a well-known tombstone located in Myrtle Hill Cemetery in Valley City, Ohio. 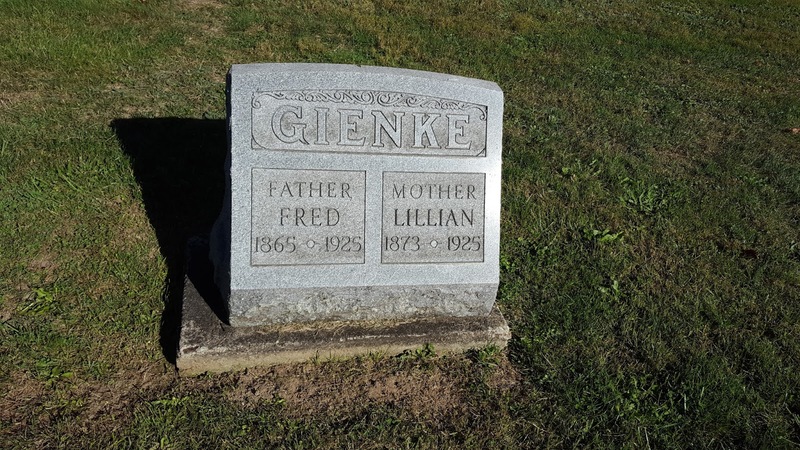 The folklore surrounding the cemetery itself includes several eye-witness accounts and re-tellings of appearances of the "Witch" buried beneath the oddly shaped marble headstone. The truth behind the legend is especially vague and buried in layers of stories passed down for generations. I first heard of the Witch's Ball in the mid 1980's. Since starting the Creepy Cleveland website I have received more than a dozen stories each proclaiming to have heard the story, know of a first-hand account or offer an explanation. Recently I've been reading John Stark Bellamy's excellent series of books detailing "Tales of Cleveland Woe". In the book "The Maniac In The Bushes" there is a story called "Medina's Not-So-Merry Widow - Martha Wise's Deadly Crying Game 1925"
To summarize the story: Martha Wise was weird. Born in the mid-1880's she led a hard life in a section of Medina County named Hardscrabble. Growing up with a most likely undiagnosed case of epilepsy and weathering spinal meningitis in her teens, Martha had a reputation for "never missing a funeral". Her first husband beat her and treated her poorly until his death in 1923. Martha would go on to frighten the townsfolk with strange behavior, acts of arson and foaming at the mouth. Martha also admitted to seeing spirits. She would also go on to poison nearly her entire family with arsenic. After what, for the time, was a sensational investigation. Martha was arrested and convicted of murder in the first degree. All told she had poisoned 17 family members. Three victims died from the fatal dose of arsenic. Martha spent the rest of her mostly uneventful life in Marysville Prison and died in 1971. But how is Martha connected to the Witch's Ball? The obvious connection, to me, is that Martha's family, including her victims, are all buried in Myrtle Hill Cemetery. While John Bellamy never uses the word "witch" in his story of Martha Wise, I find it an easy reach to assume someone over the years referred to Martha as such. With documentation of Martha "seeing spirits" and at one point confessing that the Devil coerced her into setting ten mysterious fires in the township, connecting Martha with witchcraft seems obvious. So there's a story of a backwoods widow embodying everything you'd expect in a children's fairy-tale of a witch poisoning innocent people with her toxic brew. Throw into the story the location of her unfortunate victim's graves and lastly add a most unorthodox tombstone in the shape of a three-foot marble ball. Now add over 60 years worth of embellishments and re-tellings. Ta-Da! You've got a good ghost story. Today I had the occasion to visit Myrtle Hill Cemetery and thought I might try to locate the graves of Martha's victims. Surprisingly, they were very easy to find. The families having plots right off the main road a mere 200 feet from the infamous Ball. More fuel for the folklore fire? 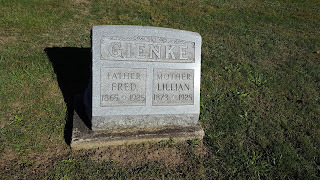 Fred and Lillian Gienke, Martha's Uncle and Aunt. Both victims of Martha's arsenic.